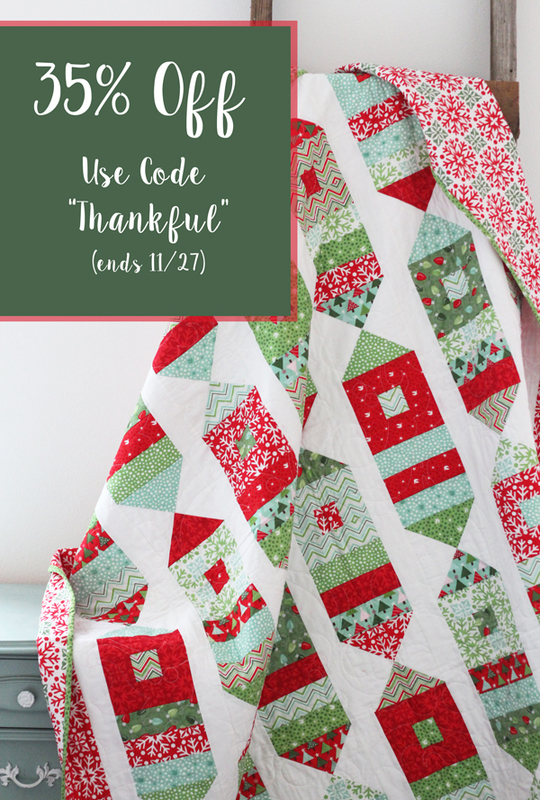 I’m just popping in quick to share a coupon code for patterns, and an extra sale on a few patterns I’m discontinuing like this Joyfully quilt pattern. Use coupon code THANKFUL in my pattern shop through Monday for 35% off! I pulled this quilt out yesterday for Christmas, and snapped some new photos of it. 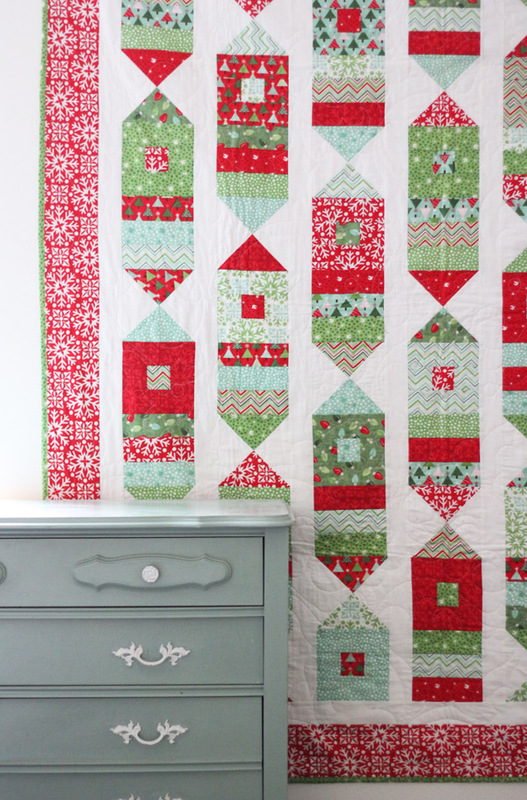 I made this quilt 5 years ago for Kate Spain using her Joyfully Christmas Fabric, and I love how happy and bright it is. 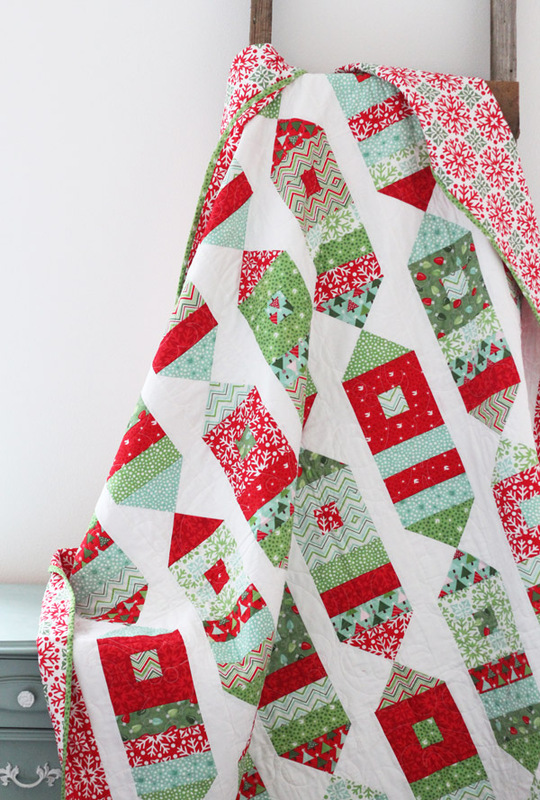 I don’t buy a lot of Christmas themed fabric, but I love the classic reds and greens in this quilt. I’m discontinuing the paper versions of this pattern, and a few others in my Sale section (link here). If you use the coupon code along with the sale it makes them just over $3 for the paper patterns! The PDF’s will still be available, I’m just clearing out some paper patterns to make room for new! 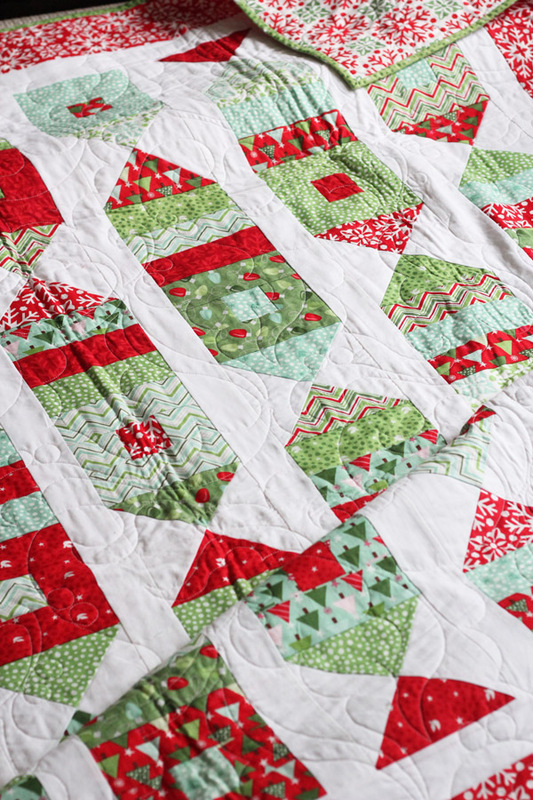 I took a break yesterday from ripping up flooring (side note: don’t start renovating your house right before the Holidays ) ;) and I pulled some red and greens for a new Star Christmas quilt. My fabric stash is SO sad you guys! 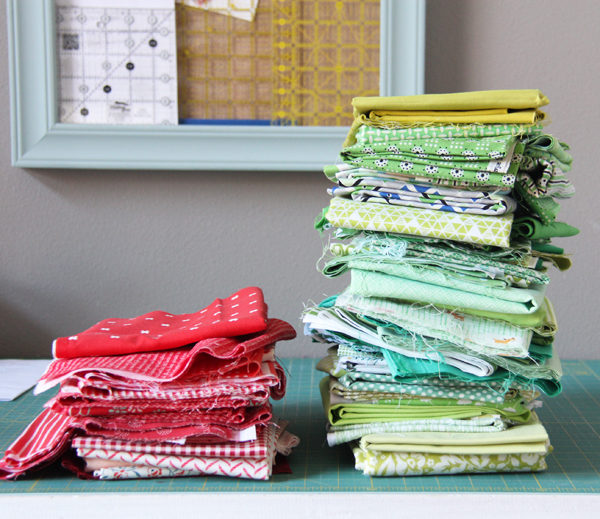 I have been so good about using my stash and not buying new fabric this year, but now my fabric stash needs restocking! I hope you have a wonderful weekend with family, friends, or just your sewing machine. I’m thankful for each of you! Remember to use coupon code Thankful for 35% off in my shop if you are buying patterns this weekend…and if you happen to forget to use it during checkout email me! 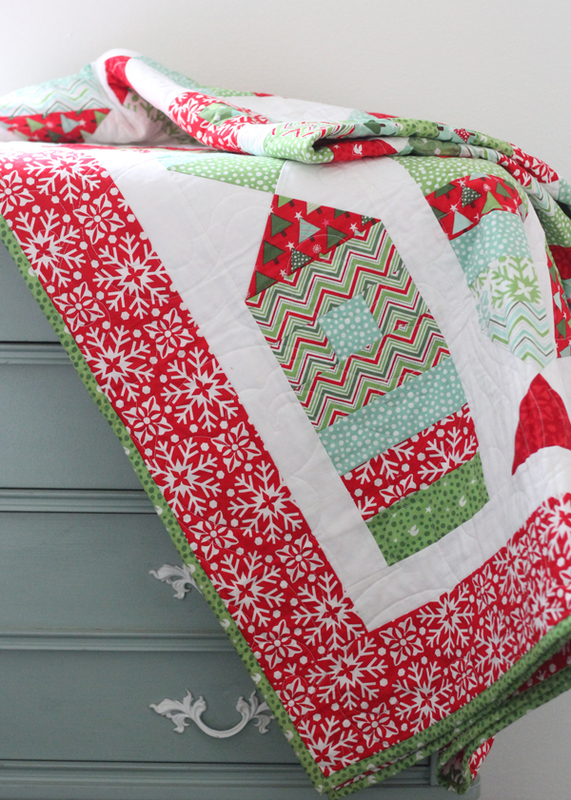 I think your Christmas version of the star quilt is a great idea. Good luck with that remodel! We are about to embark on one ourselves, but fortunately the work couldn’t be scheduled until after the holidays. I just noticed the frame on the wall with quilting rulers. Is that how you store your rulers? Does it make it easier to find what you need? 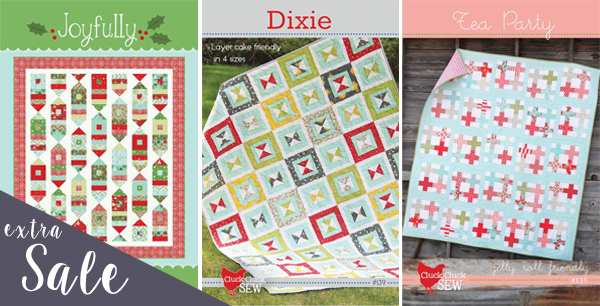 So very perfect.I love quilting and this is just awesome.I have brother cs6000i and love sewing in that.Liked the pattern and the style.I have 2 -3 material which i think will match this awesome quilt. I hope you are enjoying the BF sales today and stocking up on fabrics!! !